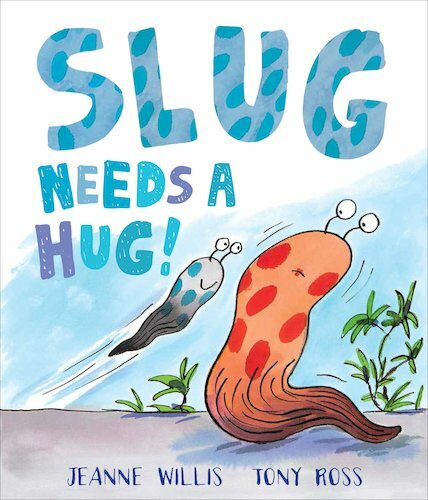 Poor Slug! Would you hug a slimy thing like him? Yuck! Nobody wants to give him a cuddle. Even his own mum won’t hug him. It really bugs Slug! Kitten says he should be furrier, so he puts on a woolly hat. Bird thinks he needs a beak, and maybe some wings as well. Soon Slug has a very funny new look. Will his mummy hug him now? Cheeky fun from Jeanne Willis and Tony Ross: a picture book dream team. Laugh out loud at Slug in all his silly outfits!